The confusion and opacity of your current billing and collections model might be based on the quality of literature and other materials you distribute to patients. According to the Healthcare Financial Management Association (HFMA) the language you use to articulate the payment process can either engage or disengage patients. "To improve consumer understanding of billing communications, high performers simplify their bills by removing acronyms, low-cost items, and nonessential details. Included with bills are letters of explanation that, among other things, discuss what the patient can expect during the billing process." Acronyms. These can be difficult to follow. Internally, you might use abbreviations and other shorthand to communicate but as forward-facing information, those terms can be hard to understand. Low-cost items. Sometimes the minutiae of a bill can be consolidated under "miscellaneous" or another umbrella term. While it's important to be specific with patients, bogging them down with unnecessary line-items can make the correspondence overwhelming. Nonessential details. 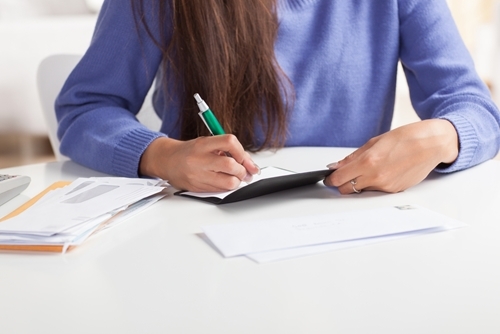 Reviewing your current bill layout can identify information that doesn't need to appear. Whittling your inclusion of data to the most important and necessary items can make the process much clearer. Reducing these elements can help shed some light on your expectations for payment, without inundating the reader with jargon and unimportant stats. If collections is a continuous problem area at your organization, this might be an area to explore for improvement and innovation. Literature and invoices are a common way for patients to educate themselves about what they owe, so make sure those materials are helpful. If your billing and collections system needs an overhaul, contact Professional Medical Services today. Our solutions can improve revenue cycle management by allowing health care facilities to outsource receivables management.